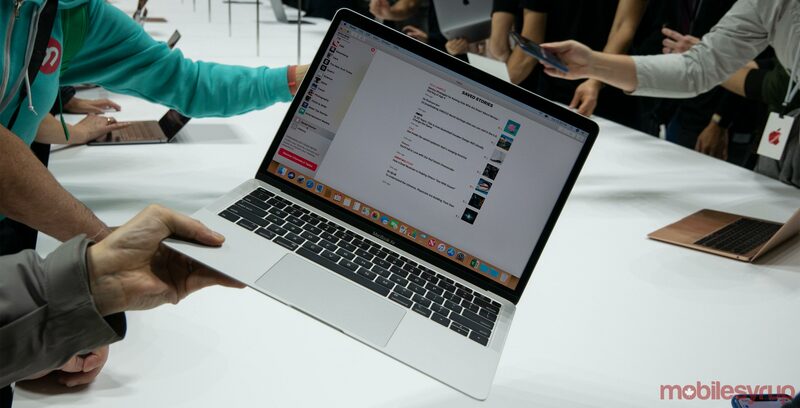 After years of rumours and speculation, Apple has finally updated the MacBook Air, arguably the tech giant’s most popular laptop ever. 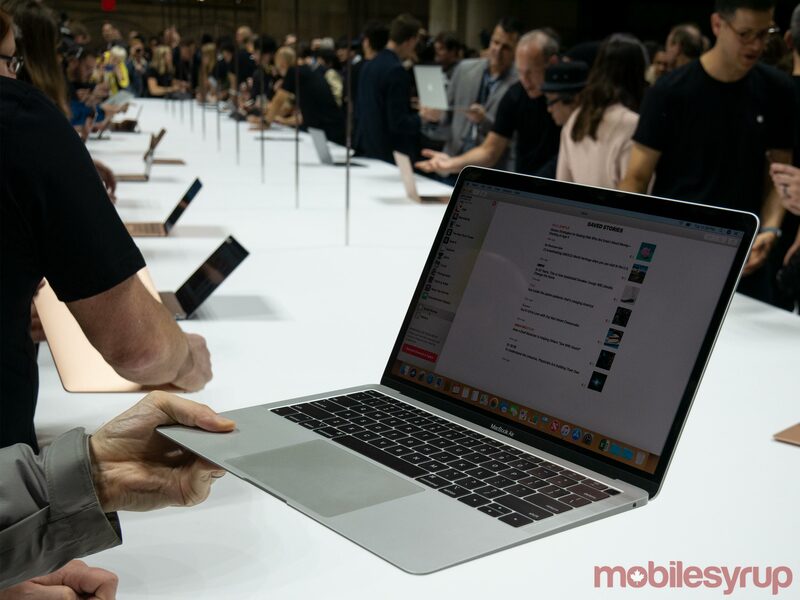 The Cupertino, California-based company showed off the long-awaited update to the iconic MacBook Air’s design during its fall hardware keynote at the Howard Gilman Opera House in Brooklyn, New York. While most of the upgrades to the new Air are exactly what users have been asking for, there are a few changes some people likely won’t be enthusiastic about. 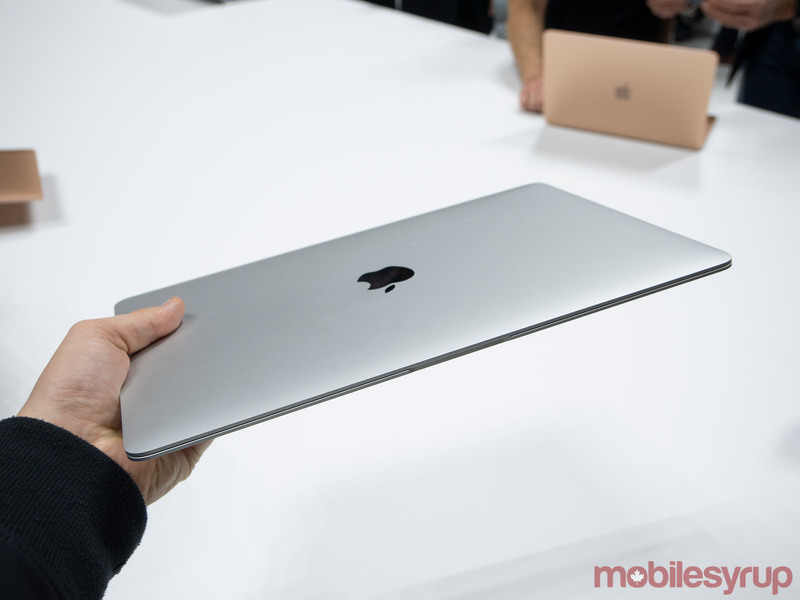 The new 13-inch MacBook Air features a slight taper that makes it smaller than the Pro, and results in a wedge design that looks very similar to the old Air, though with an added level of modern polish. Other new features include reduced bezels, Touch ID and of course, USB-C. Those who were blindly hoping Apple would include a mix of USB-A and USB-C in the new Air, will be disappointed to learn that isn’t the case. At first glance, the Air’s display looks great, though it doesn’t feature the True Tone technology included in the 2018 Macbook Pro. 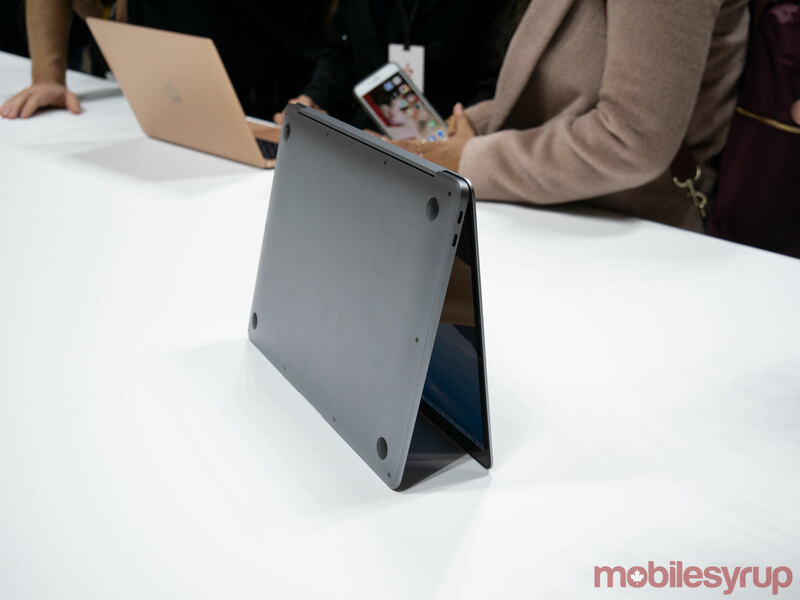 The Air’s new smaller bezels give the laptop a more modern look, too. Further, the older Air’s aluminum bezels have been replaced with glossy glass, which is a move some people might not be fond of. Given the issues I’ve had with the MacBook Pro’s display scratching, I expect the shift to glossy bezels that aren’t raised will result in the Air suffering from the same problem. Overall, the new MacBook Air’s display seems roughly on par with the 2017 MacBook Pro in terms of overall vibrancy and colour. Regarding the Air’s keyboard, Apple says that the new laptop features its third generation butterfly mechanism. 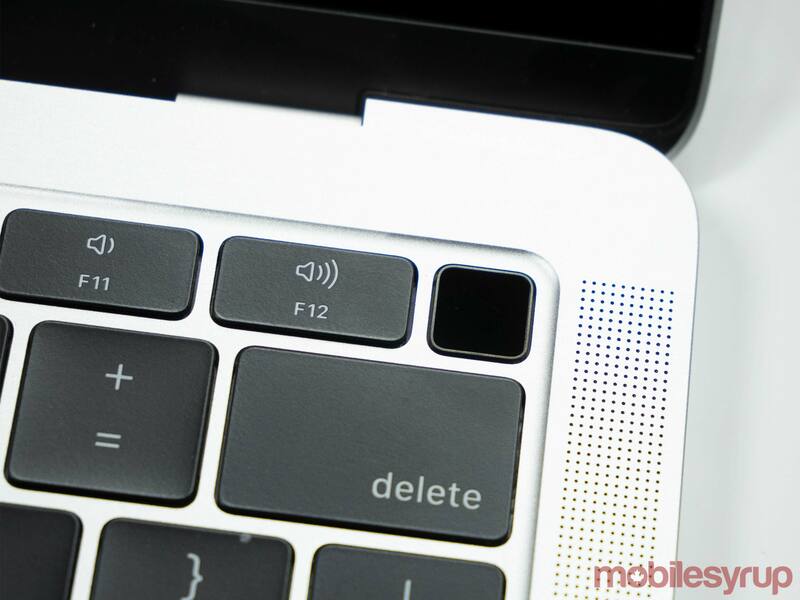 This means the Air includes the same keyboard as the 2018 MacBook Pro, which features quieter key travel and more resistance to dust. As a result, the Air should experience fewer keyboard issues than the 2016 and 2017 MacBook Pro, at least in theory. I tested out the keyboard for a few minutes and was impressed with how smooth the typing experience is. It also feels like the keys have slightly more bounce to them when compared to the 2017 MacBook Pro and possibly even the 2018 MacBook Pro. In terms of build quality, the Air hits the typical standard most expect from Apple despite the fact that the computer is now manufactured from 100 percent recycled aluminum. The new Air’s touchpad, as you may have already guessed, is massive and now features Force Touch rather than a mechanical click, similar to the trackpads included in all of Apple’s modern laptops. It’s also worth noting that the new Air weights 1.24kg (2.75lbs), with the older version of the laptop coming in at 1.3kg (2.95lbs) — the laptop felt extremely light and I could easily hold it in one hand. 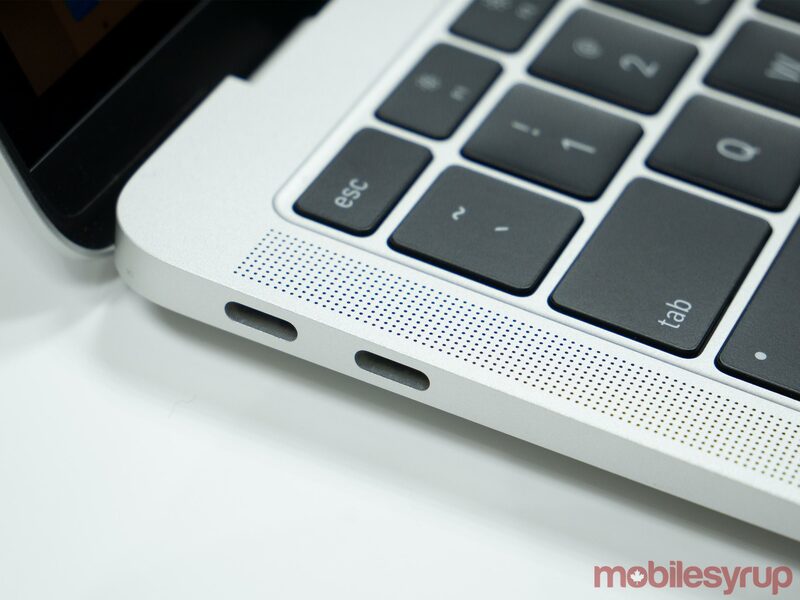 MagSafe has been ditched for two USB-C ports, which is a step above the standard MacBook’s single USB-C outlet and on par with the 13-inch MacBook Pro that doesn’t feature a Touch Bar. The laptop also still includes a 3.5mm headphone jack, unlike the new 2018 iPad Pro. Other new features include Touch ID and Apple’s proprietary T2 security chip, which manages the fingerprints stored on the laptop. Given that this is the first time Apple has redesigned the MacBook Air in roughly eight years, all of the above changes are welcome updates to the classic design. 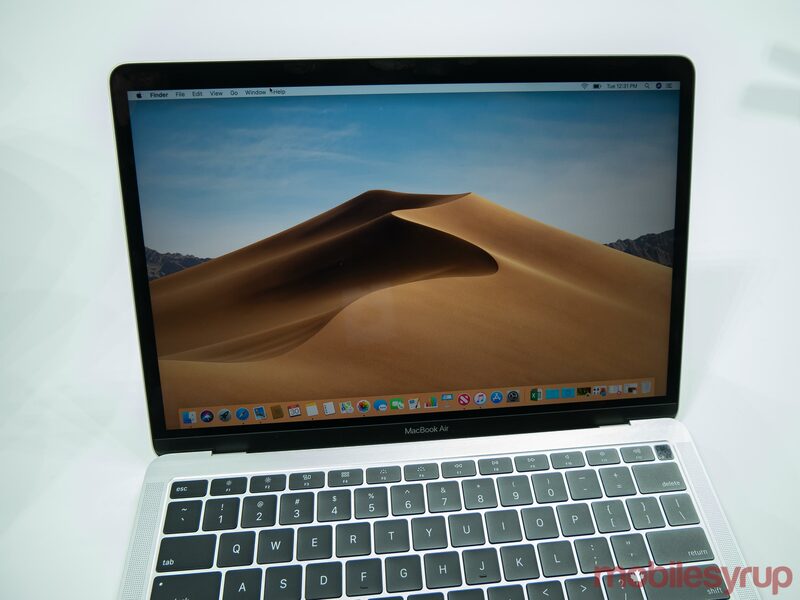 Unfortunately, in the Canadian market, the lowest end Air comes to $1,499 CAD, a price tag that sits a little under the lowest-end 13-inch $1,729 MacBook Pro without a Touch Bar, as well as the 12-inch $1,729 MacBook. I would have ideally liked to see the new Air land somewhere in the $1,300 range given Apple is arguably positioning the laptop as its enty-level device. 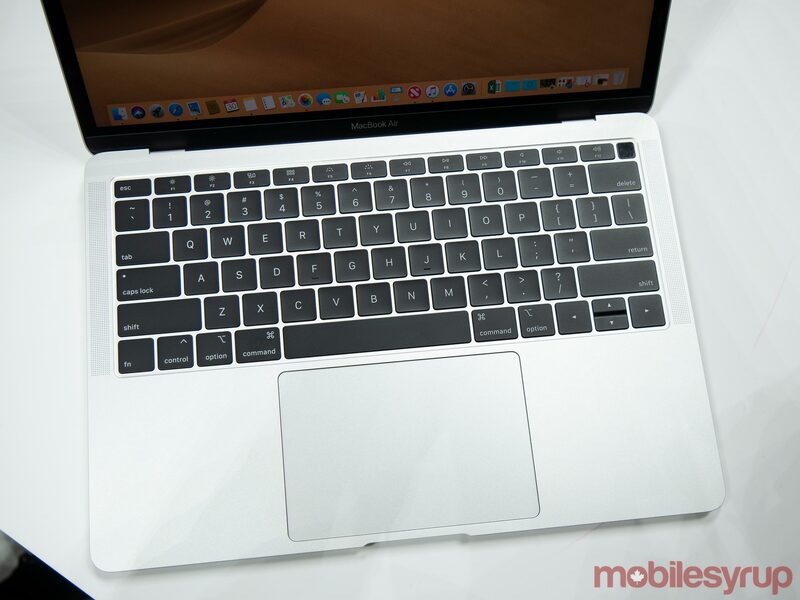 The lowest-end MacBook Air features a 1.6Ghz dual-core 8th-generation Intel Core i5 CPU with Turbo Boost up to 3.6Ghz, 8GB of LPDDR3 RAM, 128GB of SSD Storage and an integrated Intel UHD Graphics 617 card. While my initial impressions of the MacBook Air are positive, a few questions about the device remain, particularly battery life given this is the feature the older air is most well known for. Apple says that the Air’s 50.3 watt-hour lithium polymer battery specifically features up to 12 hours of battery life when web browsing, 13 hours when watching iTunes movie playback and 30 days of standby time. More testing is necessary to verify these claims, however. MobileSyrup will have more on the new MacBook Air in the coming days, including a full review of the laptop.